Handcuffs, the saying goes, are as old as man. Ever since the beginning of civilization there has been a need to keep people prisoner or, worse, outright enslave them. And handcuffs – or, in old-timey lexicon, “restraints” – were always there to do the job. Early cuffs were made of strips of animal hide, and then later became more durable during the Bronze and Copper Age. But the golden age of handcuffs didn’t arrive until the late 19th century through the 1920s. This is when high-quality steel cuffs were turned out en mass, further spurred on by military purchases. 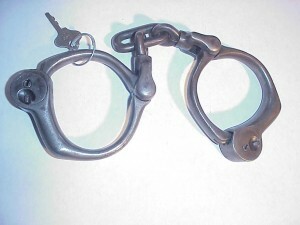 Cuff collecting is tied to the at-times sordid criminal history of the restraints, with cuffs known to be used on famous criminals (or even Houdini) collecting tidy sums. But many cuffs don’t require taking out a second mortgage to buy, and can be had for around $100 or less. 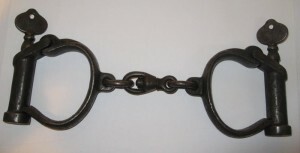 Check out some of these vintage cuffs, care of the Restraints Blog. 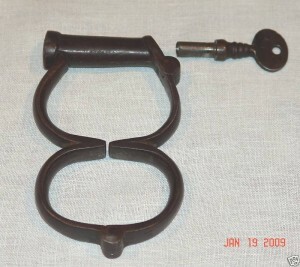 These handcuffs were made in the 1890s by manufacturer Bean/Cobb. They’re standard police-issue cuffs and still have their original key. 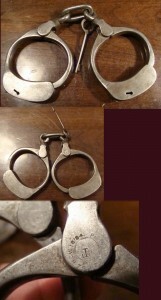 Here’s another set of police cuffs from the 1890s in excellent working order. This pair went for $153 at auction. This pair of cuffs made by English firm Hiatt date sometime from the 1800s. The firm has been making cuffs since 1780, and is still turning them out today (albeit not looking like this pair!). 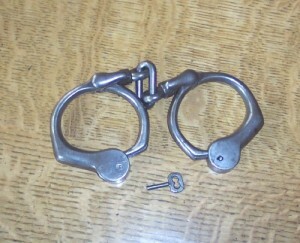 Made by Bean, these 1884 cuffs were designed for prison use. They sport a unique feature – a release button locking the cuff, that would let an officer carry them in a closed but unlocked position. 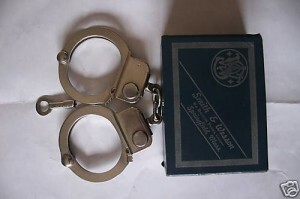 Smith and Wesson is of course known for making firearms, but they also manufactured a small line of handcuffs. This SW Model 94 are a high-security restraint designed for correctional use. And now for something a bit different – these bizarrely shaped cuffs from New Haven-based Marlin Fire Arms. Patented in 1879, these unique restraints measure more than 10 inches across. 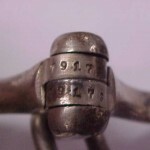 This is a pair of iron handcuffs used by the Canadian military during the Second World War. 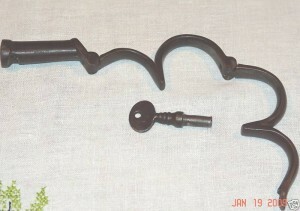 Made out of hand-forged iron, these cuffs are easily opened and closed. 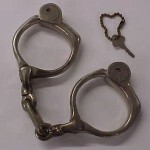 Right out of the Wild West, these antique handcuffs were originally used by a Montana police officer.